Nathaniel Mann has held a joint composition residency at the Pitt Rivers and Oxford Contemporary Music over the last 18 months, creating projects inspired by the museum’s objects and archives. His latest project is ‘Rough Music’, a culmination of his work during the residency. I spoke to him about his time at the museum, folk music, and story telling. How does the ‘Embedded’ scheme work? Embedded is a scheme run by Sound and Music – directed at Sonic Artists and Composers of Classical and Contemporary Music. The ‘Embedded’ composers undertake residencies with a diverse variety of partner institutions, from museums to ensembles to orchestras. How do the residencies work in each case? They’re very different, each one is tailored to the host. The idea with Embedded is that they are longer-term residencies, so you can get under the skin of a place. In my case I’ve spent time getting to know people at the museum, looking at the sound archive and exploring the collection. Over the course of the 20 months I’ve done 2 major projects and several smaller ones. Can you tell me about your latest project, ‘Rough Music’? My ﬁrst project was a direct engagement with the museum’s collections. I was asked to consider presenting and responding to their sound archive which had been recently digitised. Then I looked into Chinese Pigeon Whistles, which was quite a major project that got picked up and commissioned by Without Walls Consortium and Brighton Festival, and as part of Audible Forces it ended up touring the UK. ‘Rough Music’ is the ﬁnal piece, for which I’m producing a bespoke set of bronze musical meat cleavers. So there have been different levels of engagement with the museum and the collection as I’ve gone along. The first was very hands-on, working with the archive itself. The next was then inspired directly by objects in the museum, and this third one is a more general response to the collection. An amalgamation of influences and references which have inherent links to the museum and its collections. In a way it’s a hybrid based on things that I’ve learned about and reflected upon. The roots of ‘Rough Music’ stem from my interest in work song – songs that accompany process, so it’s not just about the performance. What would an example of a work song be? They’re songs that have purpose, so sea shanties from the UK, and chain gang songs from South America are obvious examples. But I’d go as far as to say that a lullaby is a work song in some sense. That was the initial interest point, and I started looking for ways to incorporate instruments into songs. I tried using my grandad’s old meat cleaver as a percussion instrument. I’d been doing that whilst singing a Spanish work song as a way of beginning to experiment with performing work songs. After that I had a chance meeting with a bronze swordsmith from the South of England and a ﬂight of fancy led me to start dreaming about building a custom set of tuned meat cleavers. Initially I was dreaming about combining work song, Gamelan, and bell peals to create something new … particularly with the dynamic gestures involved in playing the meat cleaver. In a general way, it reﬂects that there are lots of artefacts in the Pitt Rivers that are repurposed everyday objects. This is something that has become a very important theme. I started to investigate this term ‘rough music’, and it turns out that rough music was used in celebrations, at elections and during times of protest. I found a text in which there was a group of East London butchers who would take meat cleavers and grind them down so they could take them to weddings to play rough music. I suspect it was a precursor to tying cans to the back of the car as you drive off after the wedding. All over the country you ﬁnd examples of ‘rough music’ used as a form of social control, and this still has resonance today. In protest movements in Montreal two years ago, they went on to the streets with casserole dishes and pots and pans. So the term ‘rough music’ used to be a lot more common – I spoke to my dad about it and he remembers his grandmother, who’s from a little village in Suffolk, saying that they would ‘give the neighbours the rough music’. If anyone in the village was having an affair, not paying their debts, doing something the rest of the villagers disapproved of, the rest of the community would surround their house under the dark of night banging pots and pans, and assailing the house with noise. So it’s primarily used for social control, rather than being constructed for any aesthetic purpose? The methods were different in each town and county. This idea of using sound as a form of celebration and protest starts to add layers to the project. Having found these references to the ‘rough music’, I started to look at Hogarth’s prints and found that they’re littered with meat cleavers. Understanding this as a reference not to butchers or violence but to the sound and music makes an incredible difference. I then found an academic called Jeremy Barlow who’s written a tome on music in Hogarth’s prints, and he’s identiﬁed the meat cleaver and marrow bone as a musical symbol in the prints. Suddenly, things started to link-up and my idea, which had started as an impulsive association of different things, began gathering a lot of weight. The biggest surprise was to discover that mid C-18th composer, Bonnell Thornton, wrote an Ode to Saint Cecilia in 1749, a satirical burlesque work, and the idea was that the instruments of the people would be used – there is a verse about the meat cleaver and marrow bone, and how they sound. There’s even a tantalising reference that states that on one occasion, tuned meat cleavers were cast in bell metal for the entertainment of the audience. And that’s what I’m exploring in ‘Rough Music’ 300 years later! How did you ﬁx the resonating problem with the meat cleavers – did you look at historical sketches or was it a process of trial and error? There are no sketches so I don’t know how they did it, which is tantalising in itself. I’ve come up with a new design. The cleaver has a bamboo handle with rubber suspension inside so its free to resonate. They have a lot of overtones – I was initially thinking of tuning them properly but I’ve decided to leave it up to chance. Every time it’s cast, changes in the cooling speed, the percentage of the alloy and other factors determine the density of the metal, you naturally get variations in tuning and timbre. Is ‘Rough Music’ unique to Britain? It has a lot of names in the UK – it’s also called ‘skimmington’ and ‘Charivari’ – from the French. So it was actually present across Europe. This will be performed by the Dead Rat Orchestra, your ensemble – who are the other members and how did the ensemble come about? There are three of us – myself, Daniel Merrill and Robin Alderton, we’ve been performing experimental music together for twelve years now. We started off with abstract electronic glitch music, and since then we’ve opened ourselves up to everything. We play various instruments – although our principal line up is violin, harmonium, and percussion/guitar – but then for one of our pieces we have 2000 shards of mirror polished steel in the micro tonal scale. In the right space, in a church with a solid floor, we just drop them to the floor and it’s like a cascade of shimmering notes. We do all kind of curious projects including site speciﬁc music. We also incorporate the idea of work song – there are times when we’ve taken logs and axes on stage and sung lullabies whilst chopping wood. What is it particularly about work music that fascinates you? I’m interested in the fact that it’s not supposed to be a performance. Because it’s supposed to accompany an activity, it gives it a different quality to most performances. I’m interested in the instrumentation, the brute sound of axe against log against ﬂoor, there’s something quite visceral about it. How do you feel about the change in dynamic when you introduce an audience into the work song setting? I recently did a performance in Barcelona, in which artists Iratxe Jaio & Klaas van Gorkum put me to the test on this. This was going to be performed as a live soundtrack to a film derived from their project called ‘Work in Progress’. We spent a lot of time discussing what work song is, what role it plays and what it has been replaced by, and the possible reasons for it. I think they felt that my interest was based on nostalgia and romance, and that I wasn’t really thinking about it. So they set me some work, which was that I must learn a work song in Basque, a language I don’t speak. To learn any song in a language that you don’t understand is quite difficult, so that was the first task. The radio is an obvious replacement for work song. So the task I set myself, whilst singing this work song, was to construct a radio transmitter circuit from electronic components as I sang. I got to the point where the radio was functioning, so I could then duet with myself over radio waves. Of course, this response isn’t without its problems, but it’s starting to engage with it in a somewhat more considered way. Do you think that there’s a way that the audience can interact in Rough Music? This is something that we’ve explored a little in Dead Rat Orchestra, and it’s something that I’ve thought about for ‘Rough Music’, especially as rough music is about the community coming out and making noise together and playing music together. But it’s a bit beyond what I’m trying to achieve this time. You use both terms ‘noise’ and ‘music’ there – do you see there being a distinction between the two and if so where do you draw the dividing line? I think there’s room for noise in musical discourse. If you consider sound design in cinema, we’re much more ﬂuent in understanding sonic signiﬁers that work in a musical way, but are not ‘musical’ as we think of it. As soon as we understand sound in an emotional way, these things can be included in a musical discourse. What I plan to do on the night is explore the range of issues around rough music and the cleavers, so part of it will be based more upon the interlocking peals and the rhythms of the Gamelan, and part of it will be more noisy, with the clamour of the original rough music. My idea is to try and incorporate all of that. How did your previous project with the pigeon whistles come about? When you go into the museum, everything has some kind of potential musicality about it…but everything’s muted, behind glass, and you’re left to imagine what it might sound like. There are certain instruments that I couldn’t imagine what they sounded like, and those were the pigeon whistles from China. My inability to imagine what they might sound like was what really engaged me. The only way to really hear it was to ﬁnd some pigeons. 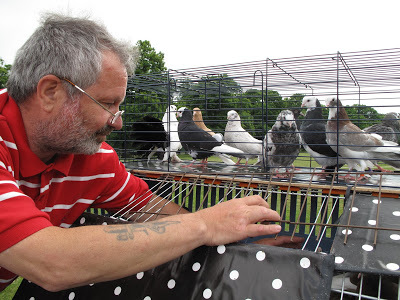 I ended up working with a man called Pigeon Pete, who breeds Birmingham Roller Pigeons, and he’s the only man in the country to have trained his pigeons to return to a mobile pigeon loft. The pigeons recognise the loft visually, as it’s covered with a polka dot motif. I like the idea of having a composition that travels potentially hundreds of miles and forms a massive spatial composition, constantly moving. The idea of ascension and then return (to the pigeon loft) gives the structure. Why were these originally designed? All over the world pigeons were very valuable, for food, for carrying messages, and so they were ﬁrst put into use to deter birds of prey. Later it evolved into an aesthetic thing – some of the bird whistles from China have over 35 notes each. Mine only have one note per bird but what you’re hearing is the pigeon’s ﬂight described in sound against the sky – the way they ﬂy and move, the ﬂap of their wings – everything is described sonically. It’s a phenomenal experience, the sense of space and movement around you. What do you plan on doing after your residency ends? I’ll be taking ‘Rough Music’ to the Foundling Museum in July, and the major thing I’m working on at the minute is ‘The Cut’ with Dead Rat Orchestra, which is a canal tour taking a boat from the London Canal Museum, 273 miles over 3 weeks from London to Oxford, Reading, and Bristol. We’ll be starting off with some tunes about the canal and its industrial roots, and by the end we should have a whole new set of material. How much do elements of storytelling and narrative inform your work? With the pigeon whistles, for example, I found it really important to investigate songs to do with pigeon culture. When we do the pigeon ﬂights, singing these songs and telling the story of where this has come from and why I’m doing it is a part of the performance. I’m also really interested in story telling in song. I do a lot of folk performance, so I sing story ballads in both Spanish and English. I’m fascinated by stories that start with ‘come gather and I will tell you a story’ – I enjoy this different sense of performance when you’re telling a story, when the delivery of the song is less important than the telling of the story. If it’s a 12 minute long story, people don’t get bored. A song that long isn’t that common these days, but the old broadsides and epics are often that long or longer. Is there any documentation detailing how they used to be performed? That’s something I’m looking at at the minute. 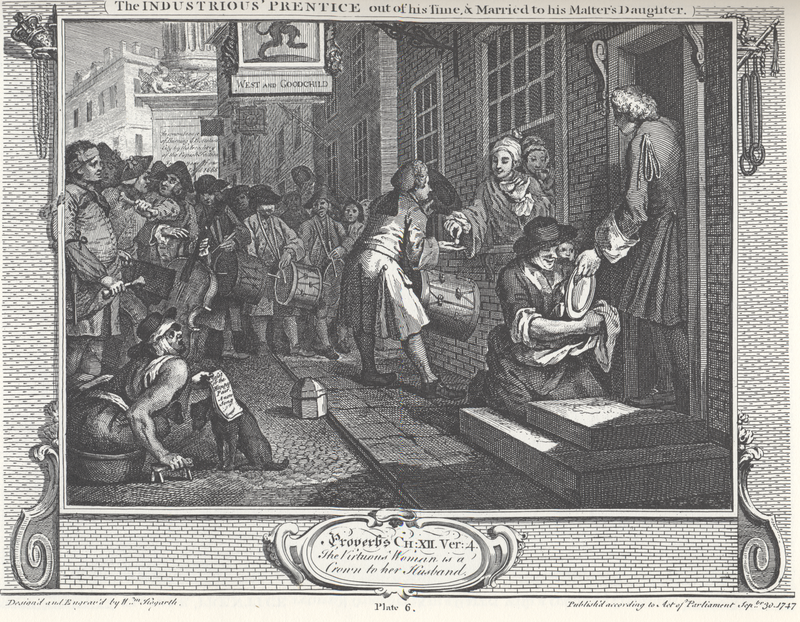 For another project I’m looking at the Tyburn Gallows, looking at broadsides concerning the gallows and hangings, the songs in slang – the criminal, underworld language. There’s an archive in the States that holds an online collection of all these broadsides, with sung extracts of the original melodies alongside the texts. But you listen to clipped, trained voices singing broadside ballads that were sung on the streets about murders, and you can’t imagine somebody standing on a street corner singing like that. And this is because of the physicality, the gesture. There are early music specialists who look into the broadside ballads and perform them, but on the whole most of them have very trained and informed voices. My suspicion is that this was not how they were originally delivered.